Happy New Year and welcome to 2018 !!! 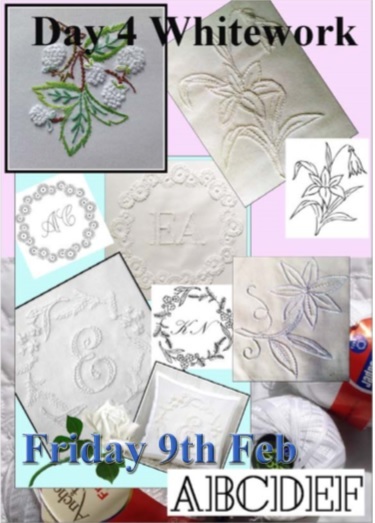 As a treat for the start of new year Kenya Embroiderer’s Guild will be hosting Elizabeth Almond to conduct master classes in February. Although they are called master classes we anticipate beginners too and the instructions are very comprehensive. Masterclasses to be held on 5th, 6th, 7th and 9th of February 2018. Member pay Ksh 2500/- and non-members Ksh 3000/-. Timings: 9.30am to 3.30pm (with an hours break for lunch). Venue: The Simba Union, Forest Road, Nairobi, Kenya. 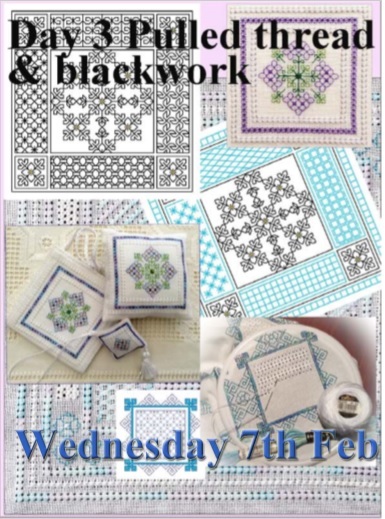 Blackwork embroidery is a very old form of counted-thread embroidery. This embroidery involves geometric designs and is traditionally worked in black thread on white even-weave fabric. Kogin embroidery is traditional Japanese stitching technique that was born in the Northern area of Japan. It is known for its hand stitching technique, in which cotton thread is stitched through each hole of the indigo colored fabric. The designs are unique in their symmetry and resemble pattern darning in the way they are worked up. 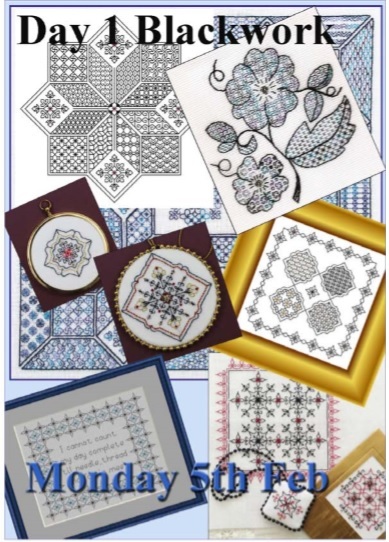 Also known as Drawn thread work, Pulled thread work is a form of counted-thread embroidery. Stitches are worked around groups of threads in the base fabric to form gaps, creating lacy, airy fillings, bands, border and hems. Whitework embroidery is an embroidery technique in which the embroidery is done with white thread on a white fabric. 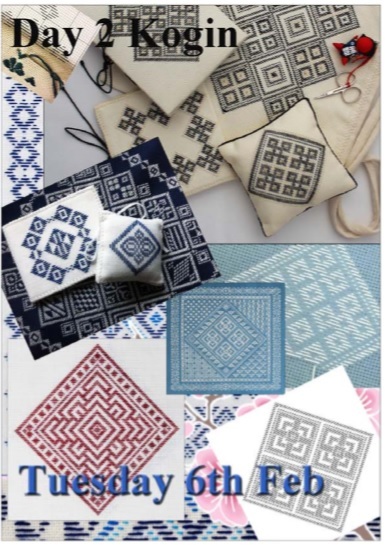 The embroidery looks very elegant and can be worked in a variety of techniques, hardanger embroidery, Mountmellic embroidery, pulled or drawn thread etc. Enroll now and reserve your place.